Oh how I love fall mums. 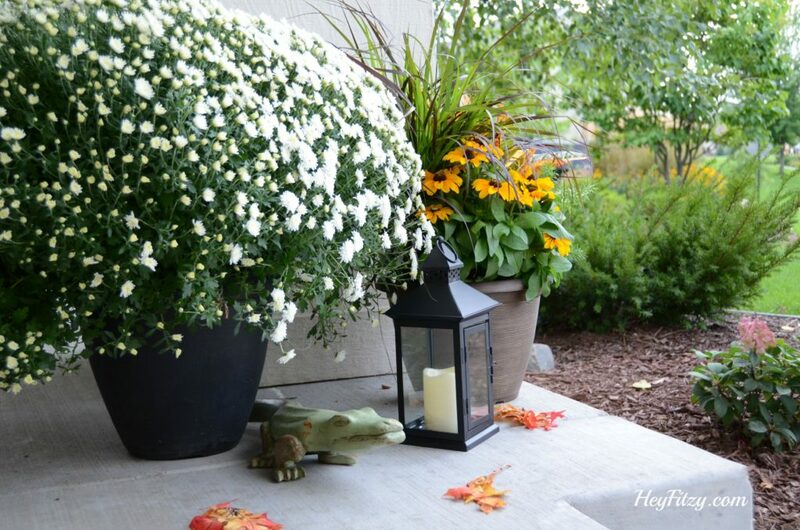 Every fall I enjoy filling the front porch with beautiful chrysanthemum plants. Over the years I have certainly killed my share of them. Watered too much…watered too little…not enough light…etc…you get the idea. After a lot of trial and error, I think I have figured out what these beautiful plants need to make it through the fall season. 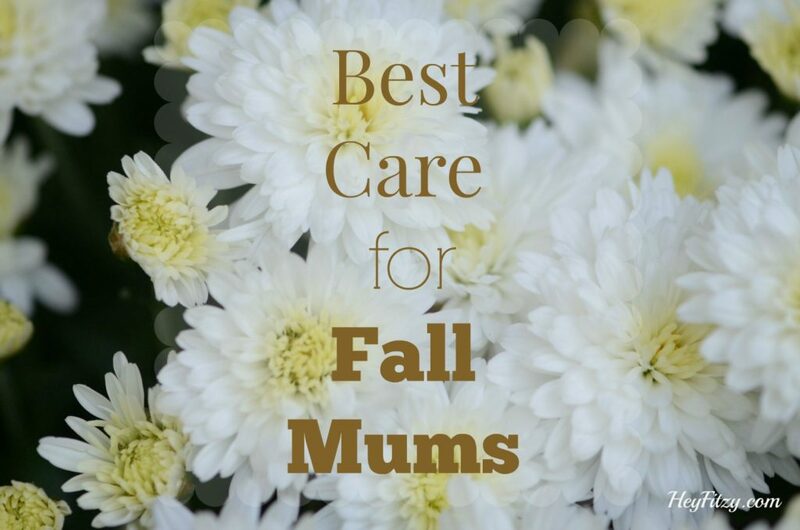 Here are my tips for how to care for fall mums. Natural light or direct sun is preferred. Keep away from artificial light at night. These plants are considered short day plants and need long periods of darkness to flower. If kept inside, find a south facing window or a window that gets all day sun. Don’t let the plant sit in water. Don’t allow soil to dry out. Water before any signs of wilting. Water if top inch of soil feels dry but before any sign of wilt. Water from bottom of plant or gently separate top of plant. Do not get water on the foliage. This will help you avoid plant disease. Cover with a light sheet at night if frost warnings. Rotate plant every couple of days. This will ensure even growth as plant likes to grow towards the light. Thank you for sharing Cindy!! !